As the year draws to a close and we prepare to move into 2012, I'd just like to take this opportunity to thank all of our visitors for coming to the site and providing your comments and views on our content. We've been working extremely hard to ensure we have the most up to date and informative GTA 5 website on the net and despite the lack of much official information, we've still been able to put together a number of useful pages thanks to the many submissions we've had through emails and on the forums. Make sure you continue to follow us on Twitter and Facebook and share our website link wherever you can. Since the site launched in March, it's grown considerably and we've had some exciting news to bring to you this year including the official announcement of GTA 5, the first trailer launch and Rockstar's announcement about the game's storyline. Rest assured we'll bring you any further news the moment we hear it, but if you think you've discovered something before us, be sure to drop us an email at submit[at]iGTA5.com and we'll take a look into it. Don't forget that registered members can still enter our GTA 5 Release Date Competition where guessing the correct release date (before it's announced) could win you a copy of the game. We'll definitely hear more about GTA V in 2012, including the GTA 5 Release Date, but what about the next week or so? Do you think Rockstar Games will give GTA fans a Christmas present with more juicy info about GTA 5? 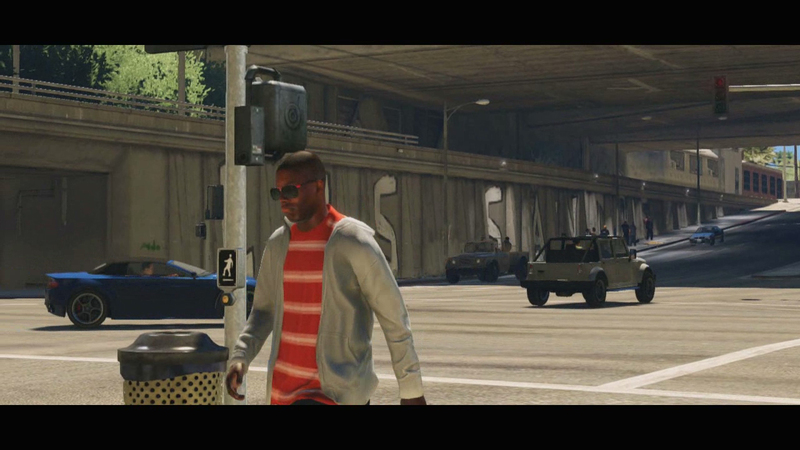 Will the countdown to new year also be a countdown to a new GTA 5 trailer? We'll soon find out... But it's worth checking back every day just in case we have anything new to share. Special thanks to TreeFitty, OptimumPx and DuffMan who have done some exceptional work on the website this year. That's a rumor. And a bad one at that. i need this game. they said u can run out of gas and u have to get gas at a gas station. thats pretty realistic..
Dude I really dont know about this game coming out this year. i mean look at max pain 3, the first trailor hit all the way back in when???? 2006??? cant fukkin wait!!! MY BRAIN IS BEGGIN FOR MORE 411!!!! HURRY GIVE ME MORE LEAKS!!!! I was really looking forward to some new info this christmas, but obviously not. So now I'm looking forward to even a tiny bit of info before 2012.
to make gta 5 better than San Andreas u have to put in sweet cars like the General lee, a Bugatti, and monster trucks and sports car's then it will be the perfect gta of all time!! I'm so excited for this game!!!! Thanks for the information and news of GTA5 from this site. Merry Christmas From iGTA5 - iGTA5.com wishes all our visitors and members a very merry christmas and a happy new year!